Ever wondered about the typical Strange Fruit collective sound?! Well are fellow bloggers at www.Crazybirds.org wanted to know and offered Strange Fruit a spot in their future nest podcast series. The future nest is a weekly podcast consisting of all new, sometimes soon to be released tracks by the up and coming artists of today. Fresh tunes for an avant garde audience, curated by the Crazybirds staff. We hereby thank Crazybirds.org for the shine and of course after you have listened to the podcast you are able to download it when you click here. Just to make sure there are no misunderstandings…Noggy (that would be me) just uploaded this sweet mix to make sure everybody gets a taste of the Strange Fruit sound…words are my specialty. 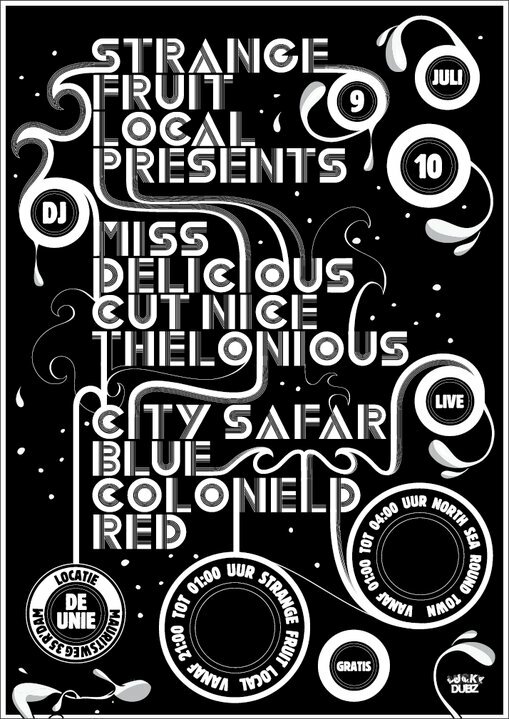 The music that is where Guido van Dieren and Lucky Dubz come in. This particular mix was compiled by Guido van Dieren. Just in case this mix appeals to you so much that you would like to nod your head or shake or bum click here for events list and join us!! 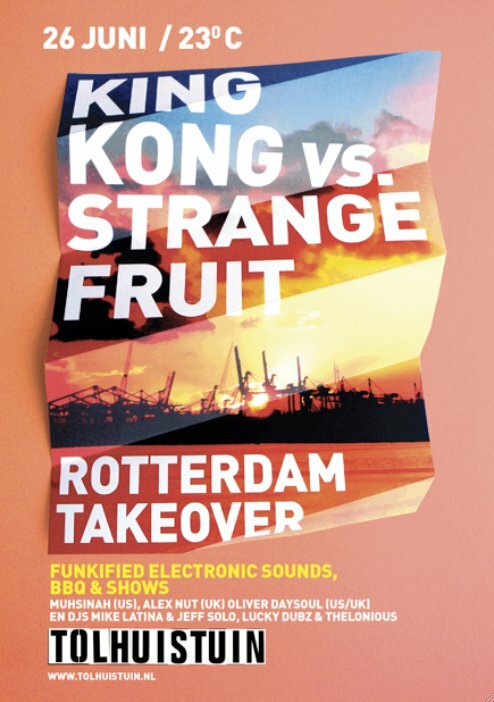 If your an avid Strangefruitmusicblog reader this is not really news … but it’s more like a reminder to be at Westelijk Handelsterrein in Rotterdam on the 14th of August. Cause Oliver Thomas Johnson a.k.a Dorian Concept has finally earned his Masters in Sounddesign at the University of Salzburg and therefore has no excuse to stay away. If you don’t have a clue who I’m talking about …you might get the impression that he is just starting out and nothing is further from the truth. Although his discography list dates all the way back to 2004 and is filled with EP’s, remixes and 12′ for several record labels. I think his most note worthy release must be the album When Planets Explode released via Kindred Spirits. After being heavily plugged by the likes of Benji B and Gilles Peterson everyone wanted a piece of this young Austrian and so does Strange Fruit. But we are not selfish and most definitely are looking forward to sharing the Dorian Concept experience with you!! To warm you up for Saturday we are providing you with a hot Dorian Concept download. 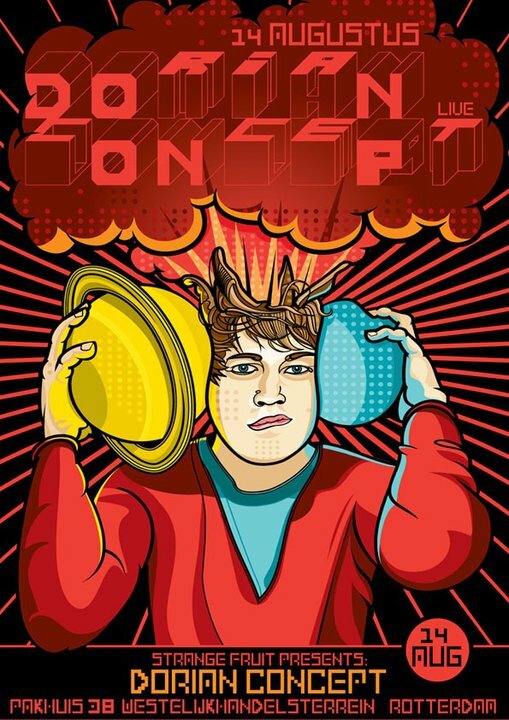 The Dorian concept remixes were once uploaded by Kindred Spirit but were no longer available on the net. 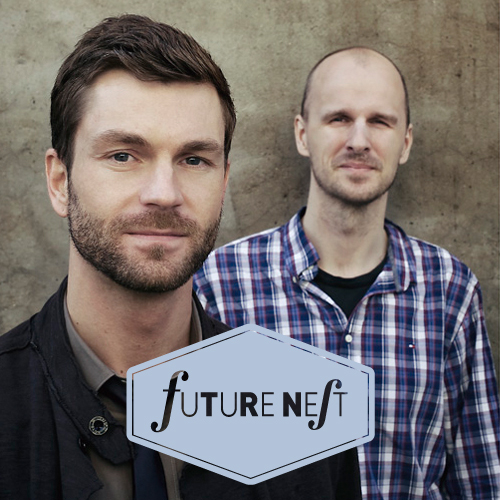 Luckily for us Kindred Spirit granted Findmag.com’s wishes and allowed them to re-upload the remixes for our downloading pleasure…Enjoy!! The 14th of May is a big day….simply because it’s Strange Fruits’ five year anniversary and of course we are going to do what we do best…invite you over to club Watt to party with us!! We already hooked you up with valuable info in one of our previous post…(for those of you who missed that one click here) and now the introductions are out of our way..time for another goody!! 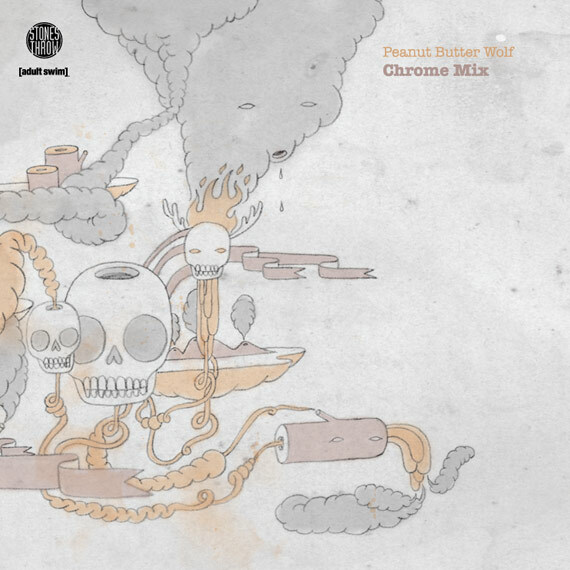 The Chrome mix by Peanut Butter Wolf…will surely get you hyped up to party with us on Friday 14th!! A few years back Stones Throw hooked up with Adult Swim for Chrome Children, a DVD+CD release containing a live show headlined by Madvillain (on the DVD), and a collection of new and then-unreleased tracks by all our artists (on the CD). A few of these tracks, Peanut Butter Wolf put together in his “Chrome Mix” which was released as a free CD giveaway. These CDs are long gone by now, so here’s a download. The 14th of May is a big day….simply because it’s Strange Fruits’ fifth year anniversary and of course we are going to do what we do best…invite you over to club Watt to party with us!! 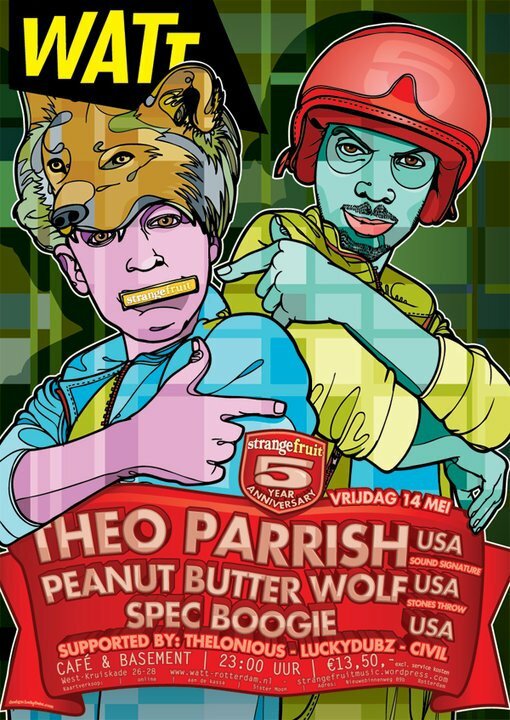 WHO THE HELL IS PEANUT BUTTER WOLF?! DON’T MISS OUT ON THEO PARRISH!! Strangefruitmusicblog already did enough SEIJI features to make sure you know what you are going to miss out on when you choose to be somewhere else than at club WATT on the 12th of March. So to be honest…we are confident we can let this go now…but before we do…remember the Fact Mix 129 we allerted you on?! You know the one you can download here for a limited amount of time. To give you an extra push in the right direction we are going to provide you with a little extra incentive to download…when you click here you are not only going to find the tracklist for this very energetic SEIJI mix but you can also listen before dowloading. Afcourse there is an alterior motive to our generosity. 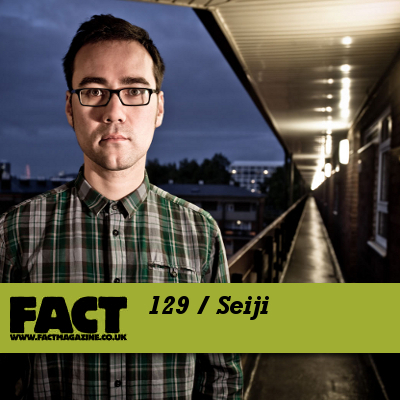 Since we are very much aware of the SEIJI effect and how slamming the FACT mix is…we can safely say SEE YOU ON FRIDAY AT WATT!! ONLY 6 DAYS TILL SEIJI ! !